RICHMOND CONCERT CHORALE | Welcome to the home of the Richmond Concert Chorale! 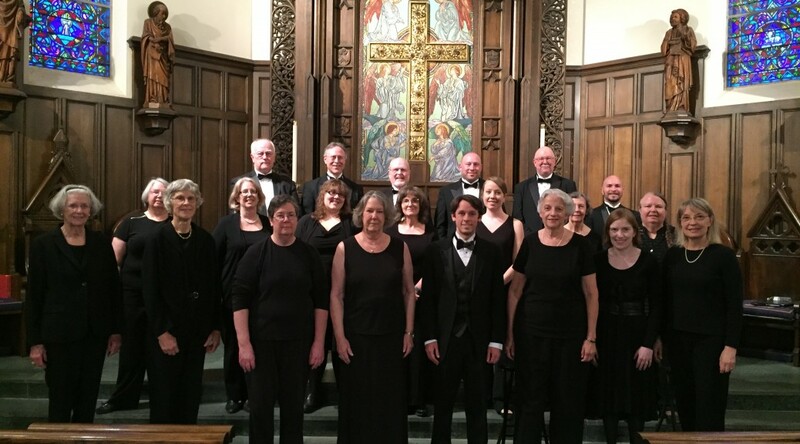 The Richmond Concert Chorale is an adult, auditioned chorus dedicated to presenting high quality choral performances in the Richmond, Virginia area. Founded in 1995 by Bruce Stevens, the Chorale has performed major works like Vaughan William’s Mass in G minor and Copland’s “In the Beginning”, and joined forces with the Monacan Singers and other performing groups. The Chorale gives two concerts per year, one Fall and one Spring concert, and often participates in other community events. Ryan Tibbetts began his tenure as Director of Music during the 2015-16 season. He holds a DM in Choral Conducting from the Indiana University Jacobs School of Music. In addition to his work with the Concert Chorale, he is also the Artistic Director of the Central Virginia Masterworks Chorale, Director of Music at St. Mary’s Episcopal Church, and has held positions as Assistant Conductor of Mendelssohn Club of Philadelphia and Music Director of the Newark Symphony Chorus.